Six color screen print for Dave Matthews Band’s May 29th show at the Hollywood Casino Amphitheater. Five color poster for their show at the Shoreline Amphitheater. Inspired by the sign featuring a crane as you enter the venue and the California Poppies that grow in the state. 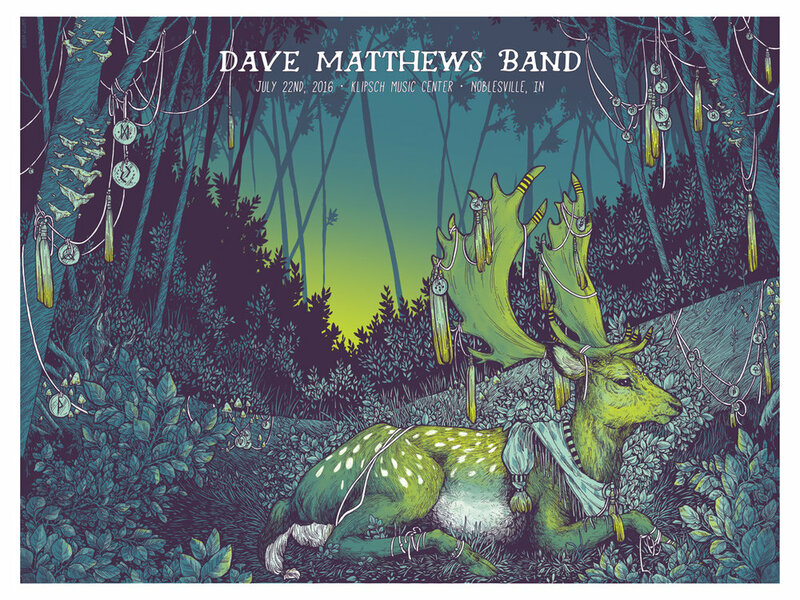 Four color screen printed poster for Dave Matthews Band at Klipsch Music Center, also know as Deer Creek Center, on July 22nd, 2016 in Noblesville, IN. Inspired the “Deer Creek” alternative name for the venue. 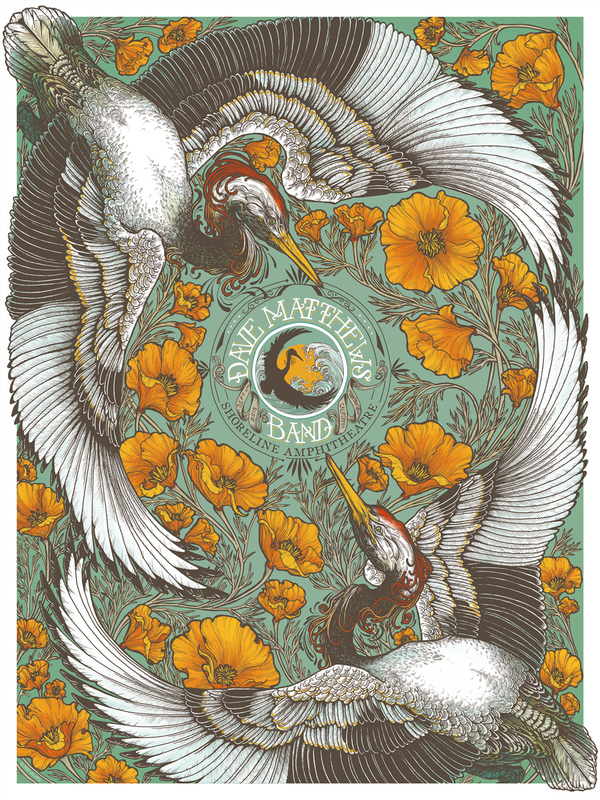 Five color screen printed poster for Dave Matthews Band shows in London at the O2 Apollo and O2 Academy Glasgow. XXXX color poster for their show at Daily's Palace Amphitheater. Inspired by the endangered clouded leopard.